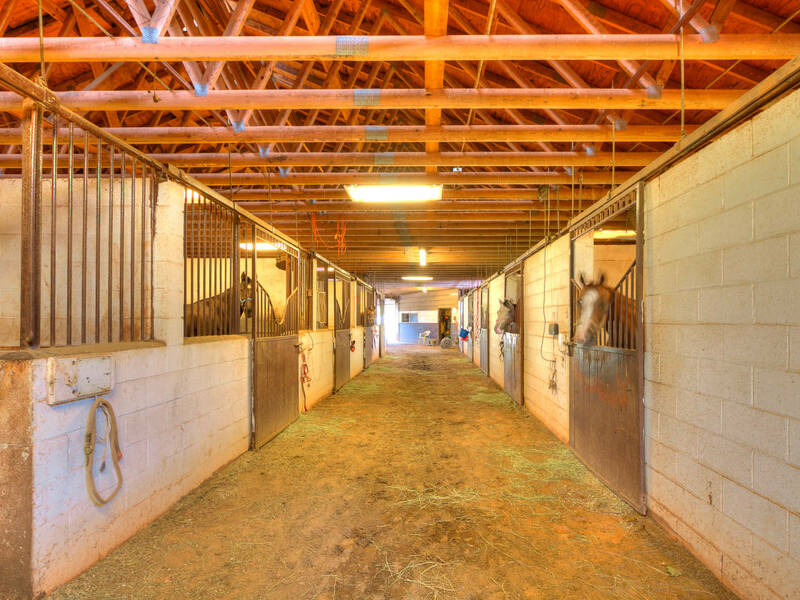 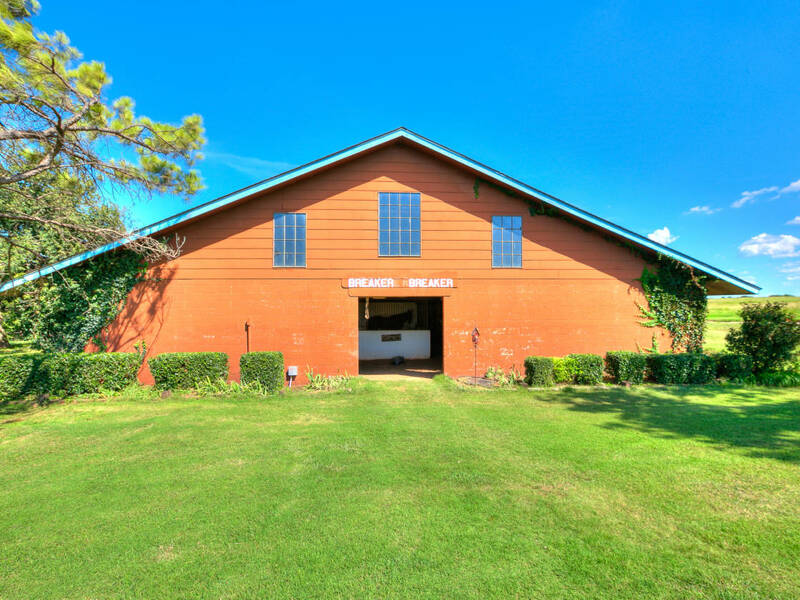 Cres-Ran 440 Acre Training/Breeding Facility w/ 3 homes, training track & barns! 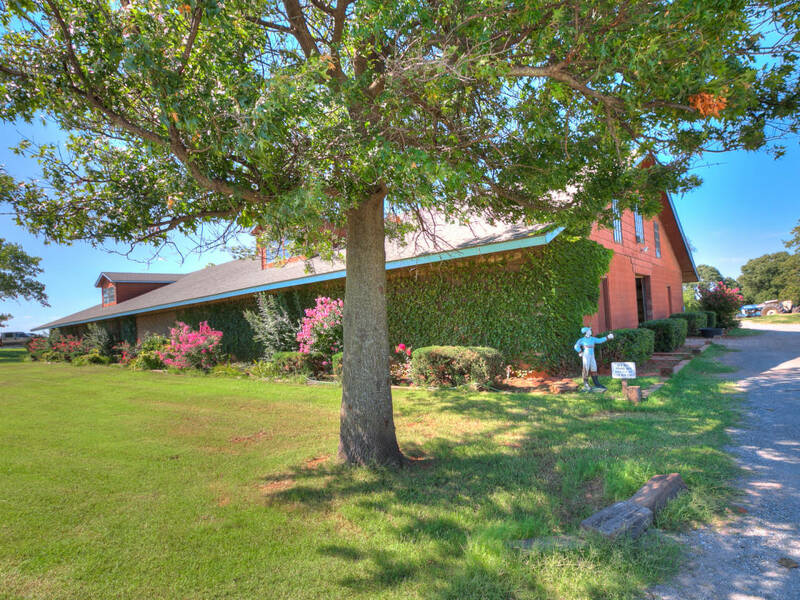 There are 3 homes on the property and several apartments. 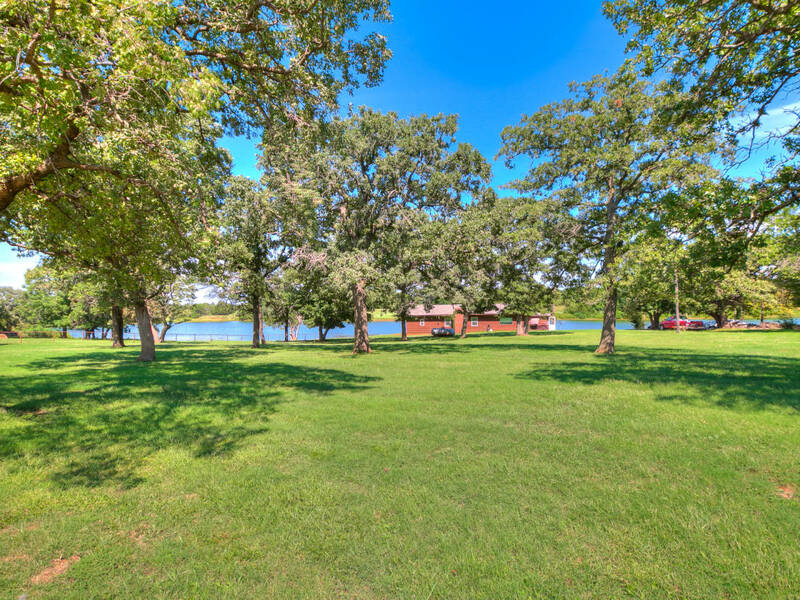 The main house is over 5,500 sq ft and is tucked away behind everything, surrounded by big Oak Trees and overlooks the 28-acre lake. 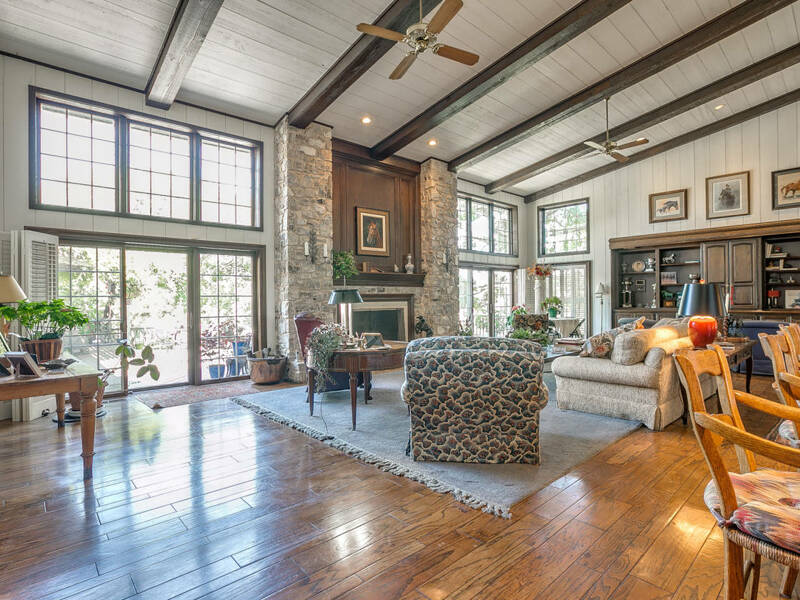 Custom designed and built for entertaining, every room is huge and has a view. 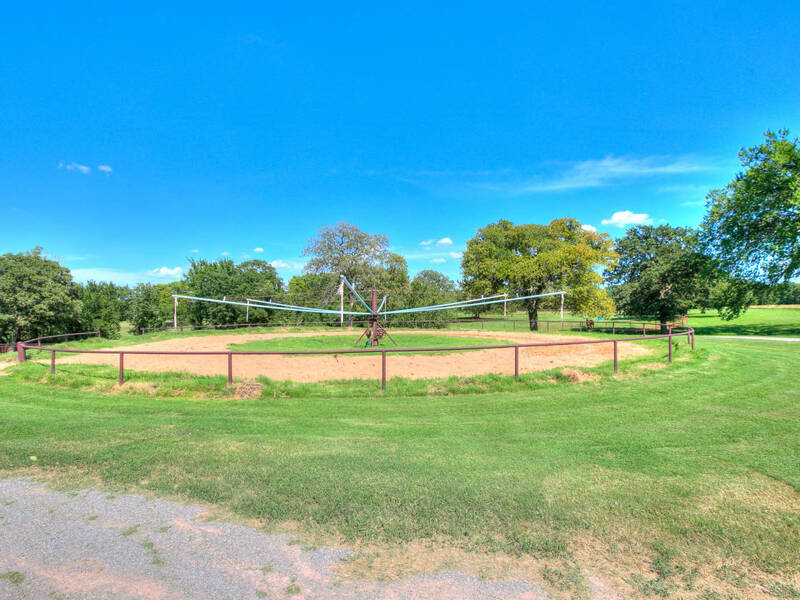 Many weddings have taken place here for the grounds are simply stunning. 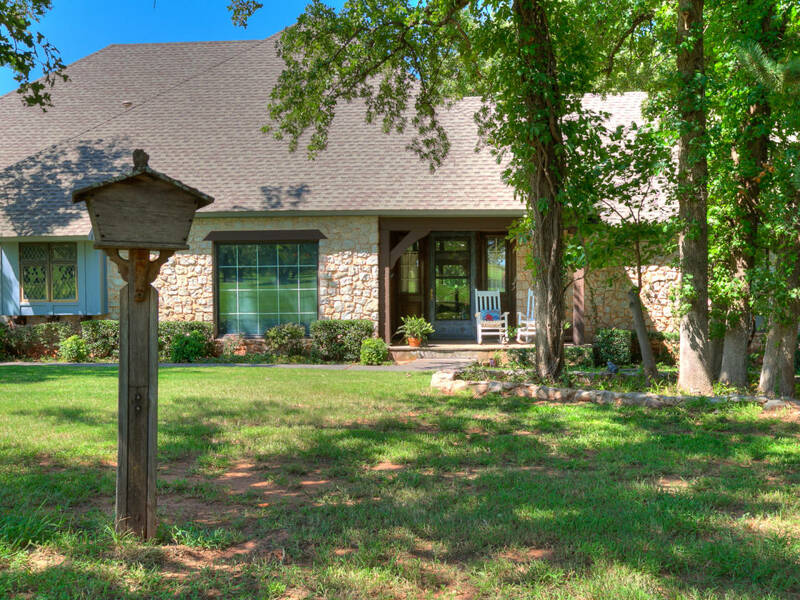 Rock house is remodeled with 3 bed/2 bath and sits on the edge of the estate. 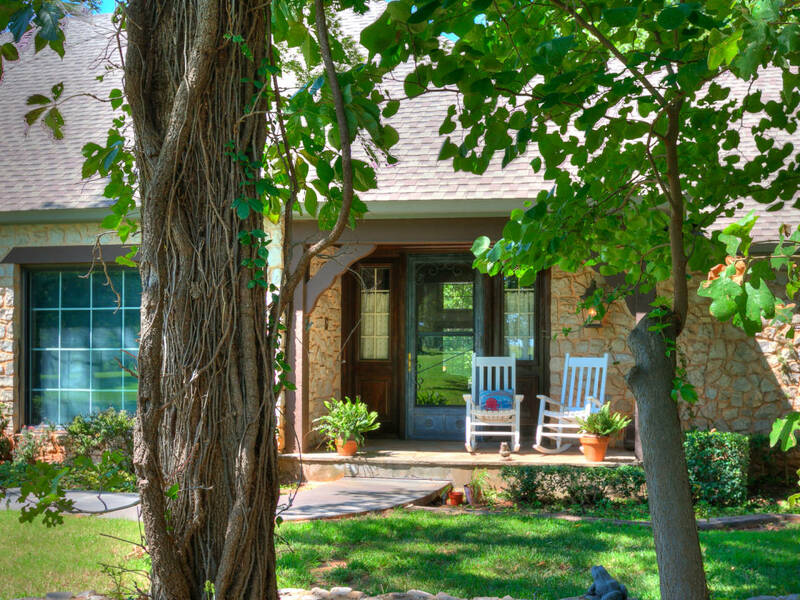 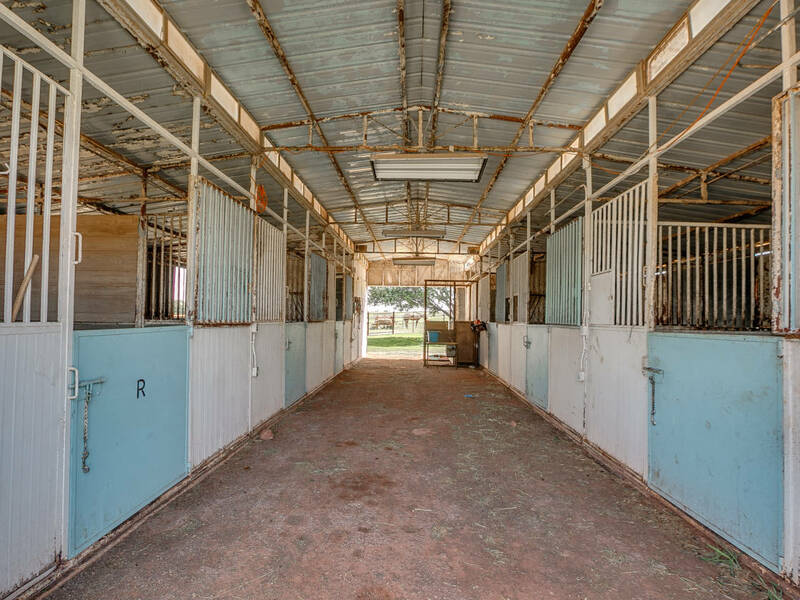 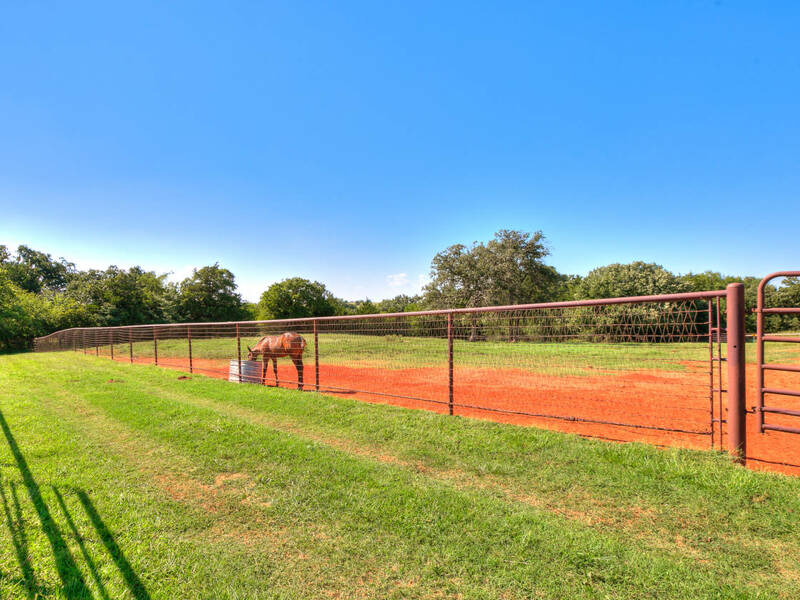 This home is currently being occupied by one of the horse trainers and is in great shape. 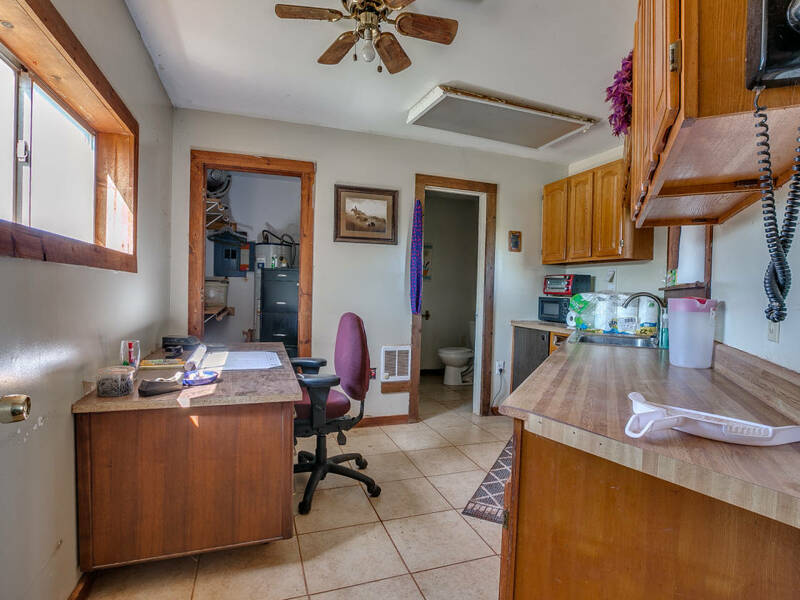 The log cabin has 3 bed/2 bath and is perfect for a foreman or supervisor. 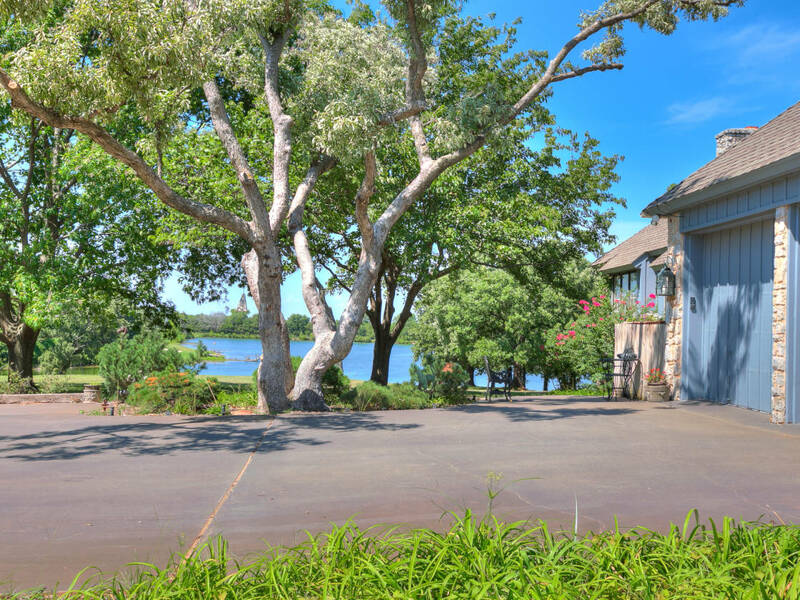 This home is close to barns and has a stunning view of the lake. 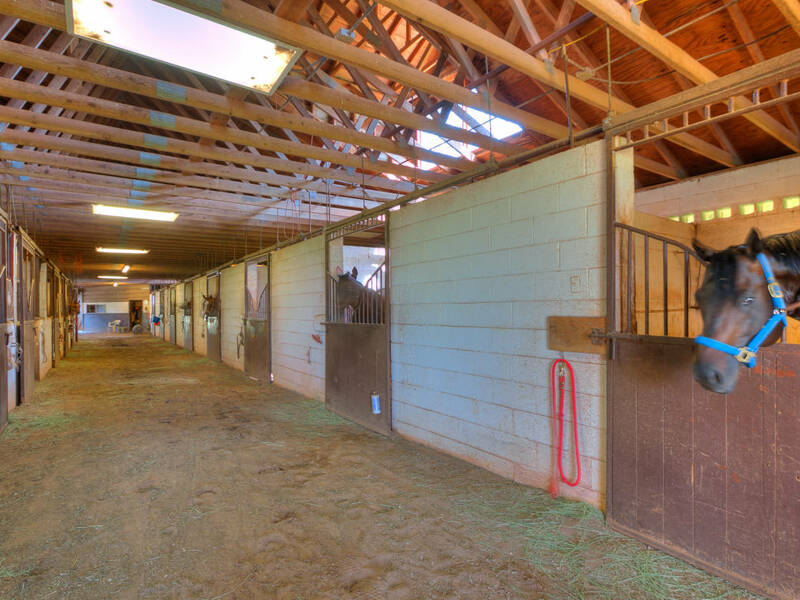 TONS of runs and turnouts. 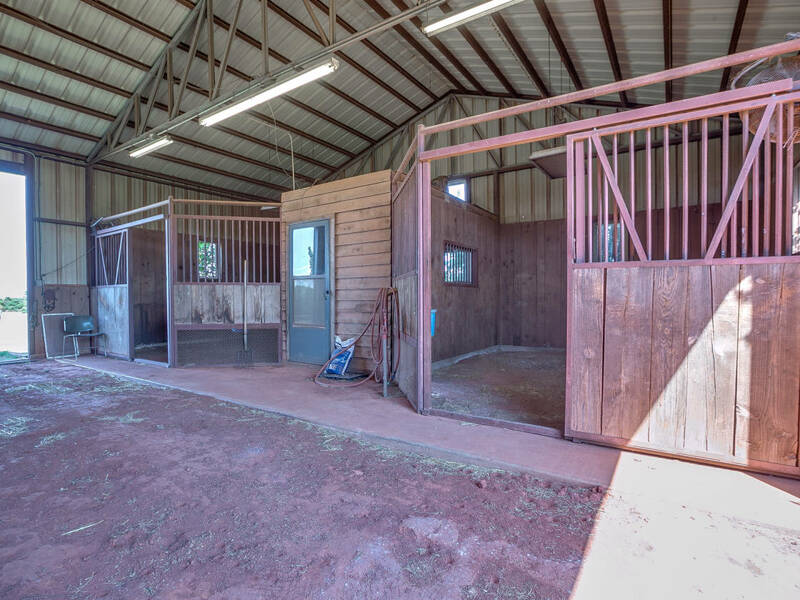 All with space in between for easy feeding, mowing & access. 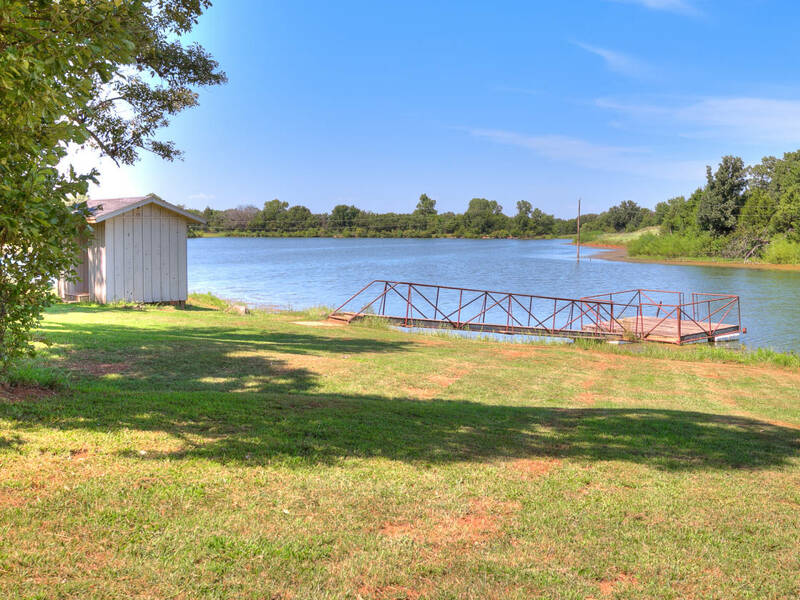 28-acre spring fed lake perfect for fishing, jet-skiing and swimming. 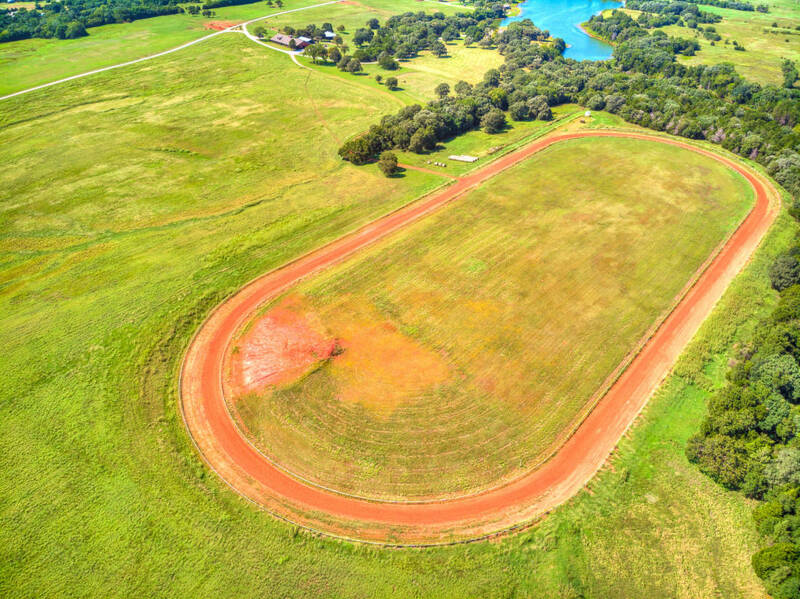 Training track is used every day and is 5/8 mile w/ timing poles. 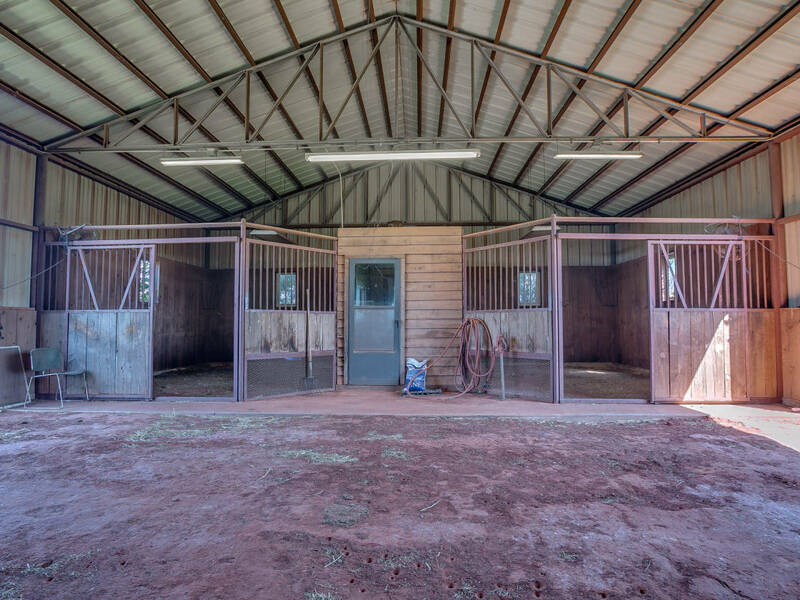 Starting gates stay with property. 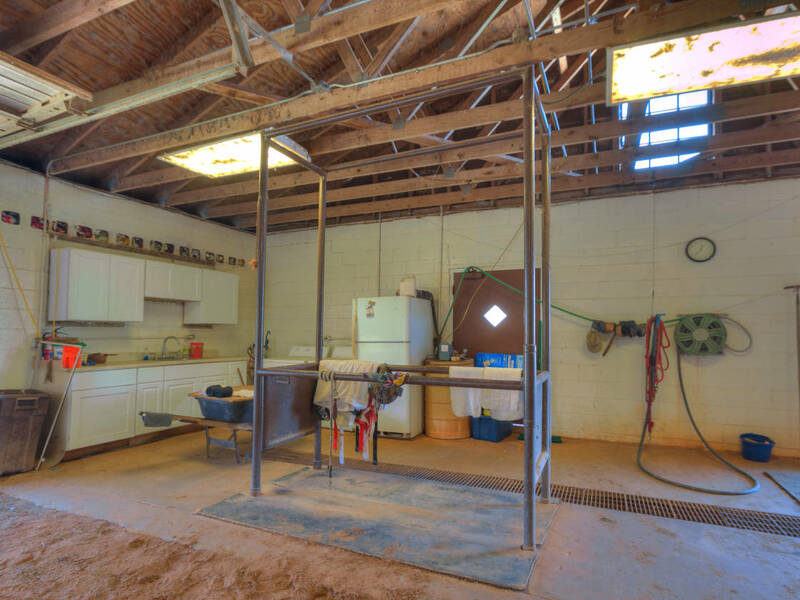 Two stall foaling barn with office, kitchen and apartment. 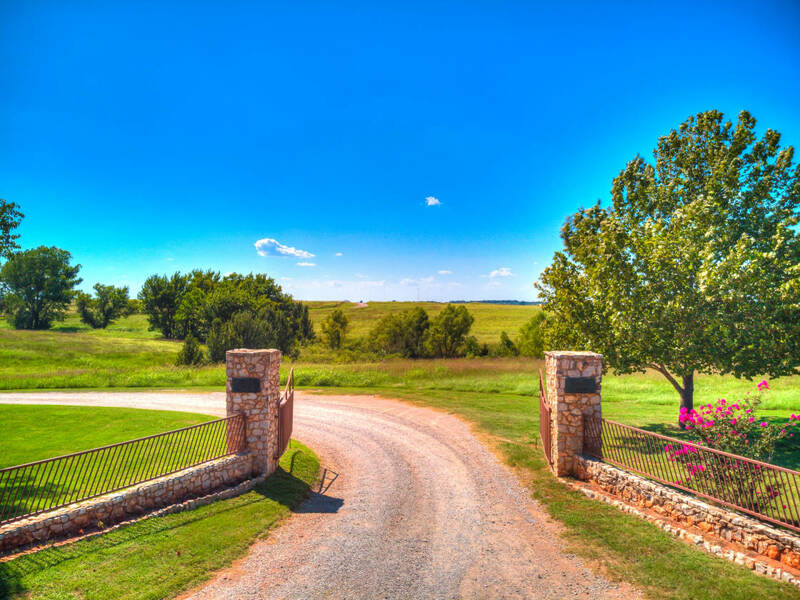 LUXURY EQUESTRIAN ESTATE ON 20 ACRES AVAILABLE IN CHICKASHA, OKLAHOMA! 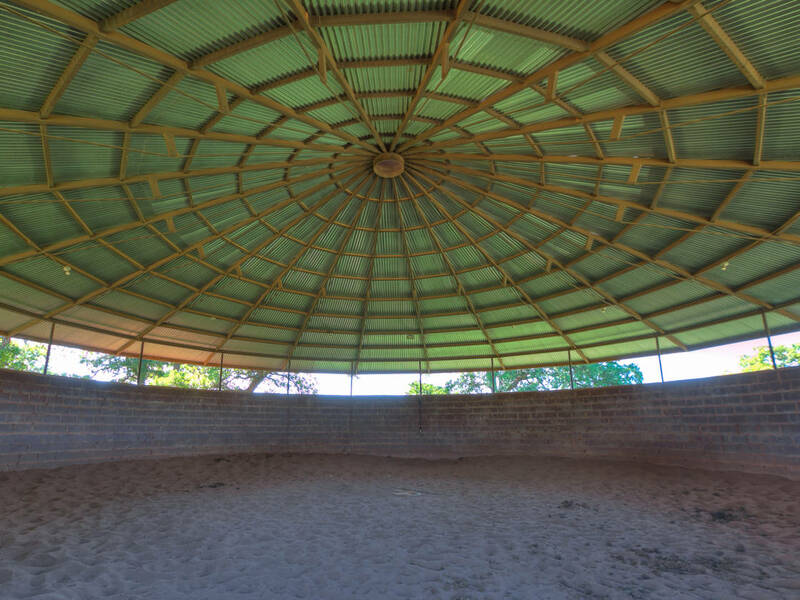 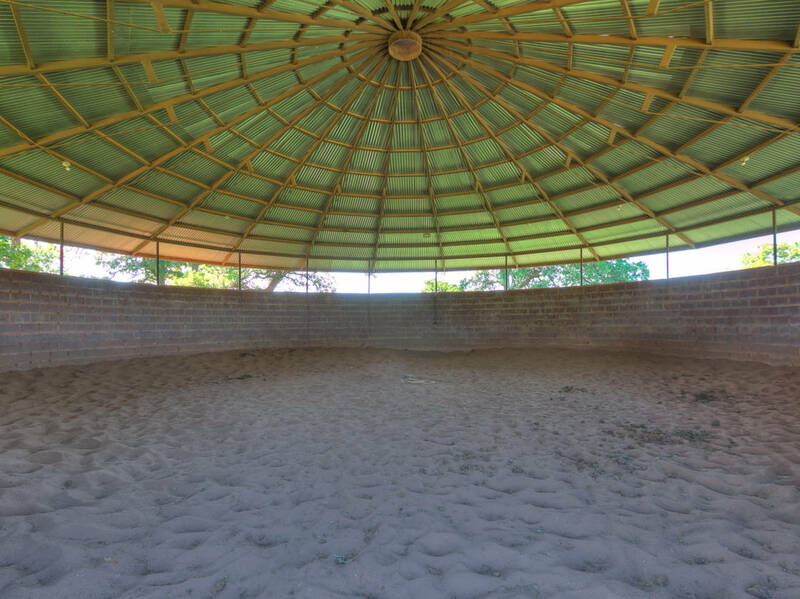 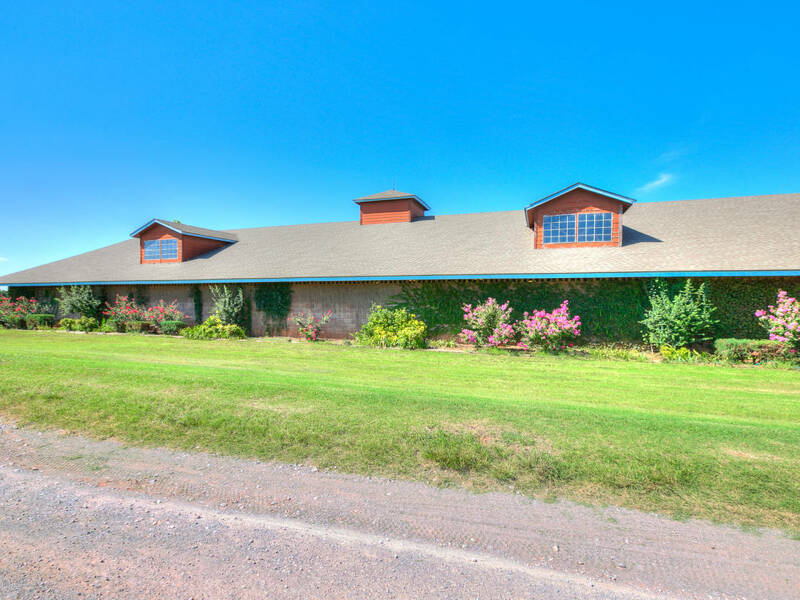 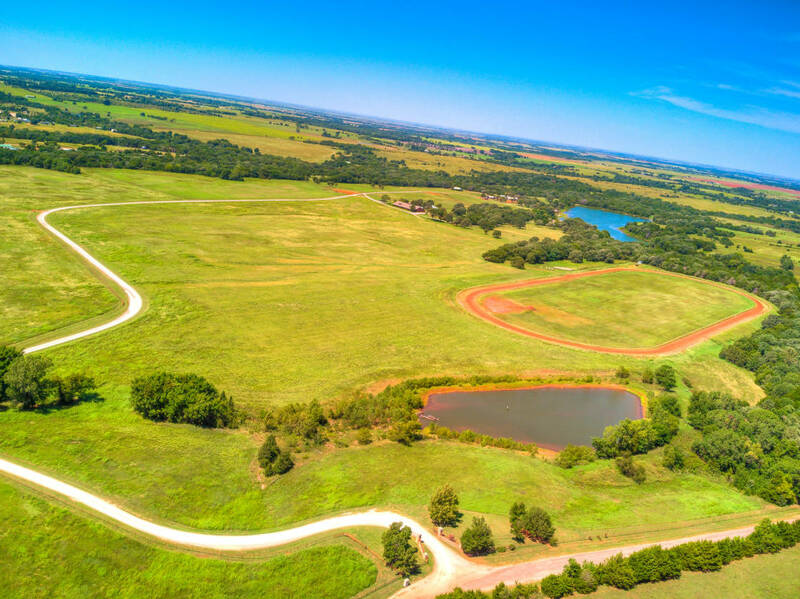 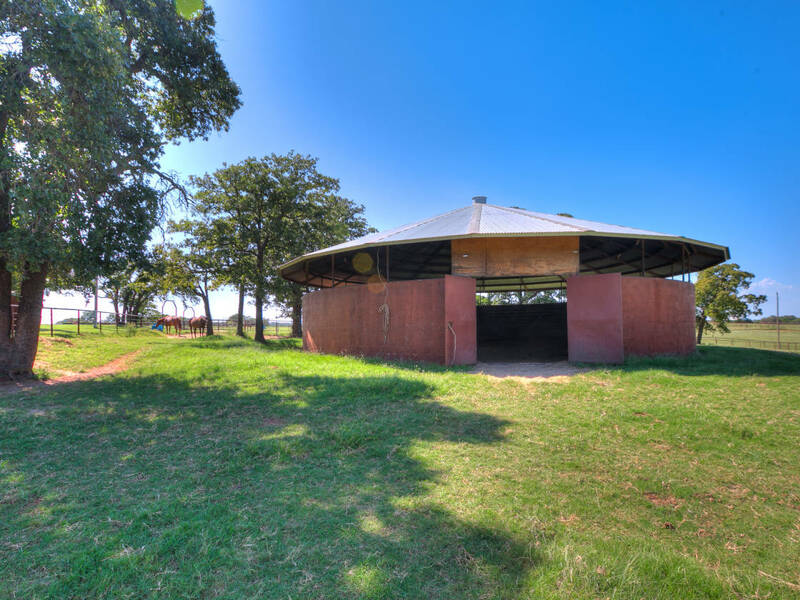 TURNKEY EQUINE FACILITY FOR SALE IN STILLWATER, OK. 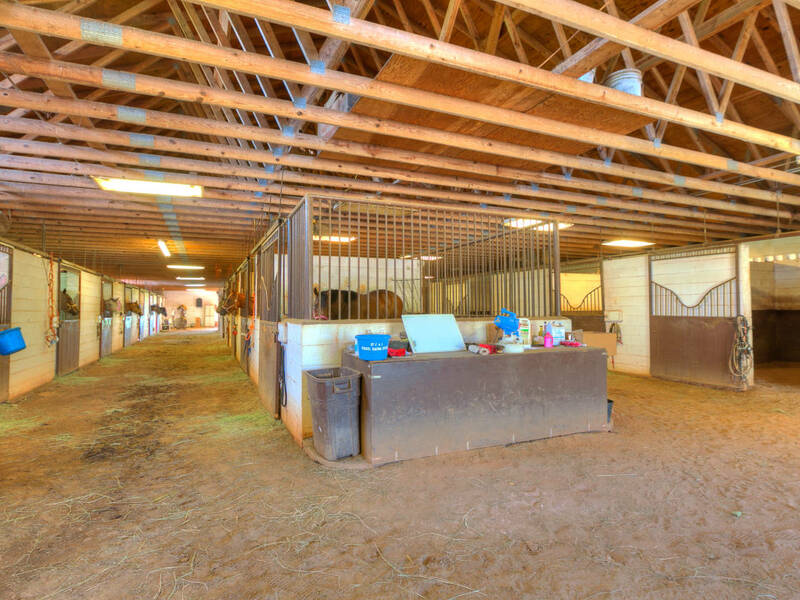 LUXURY STALL BARN 2 ARENAS. 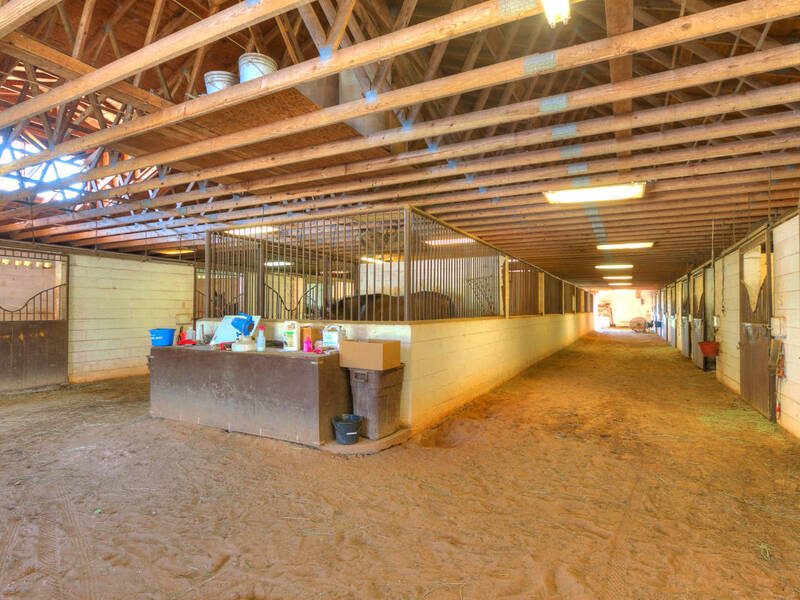 DREAM HOME IS ON 10 ACRES (MOL) & UNIQUE OPPORTUNITY FOR HORSE LOVERS EXPANSION! 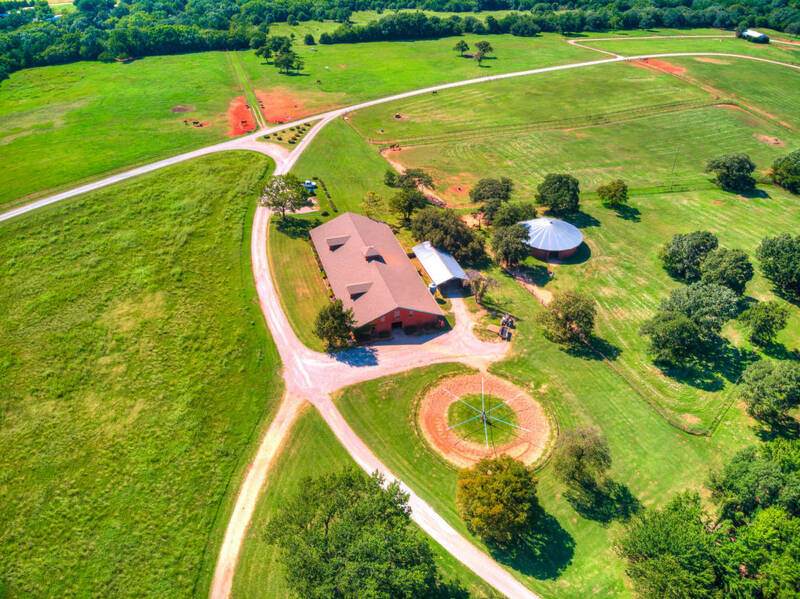 CUSTOM LOG HOME ON 80 ACRES WITH VIEWS FOR DAYS! 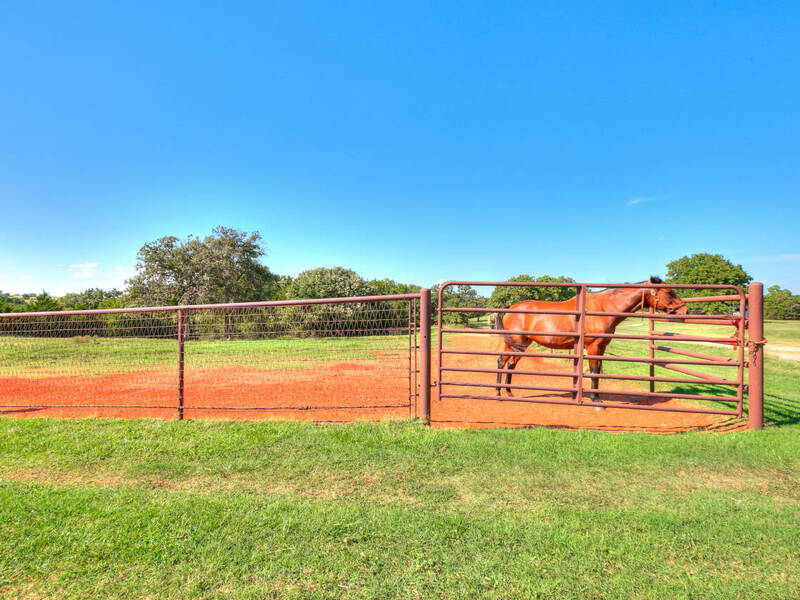 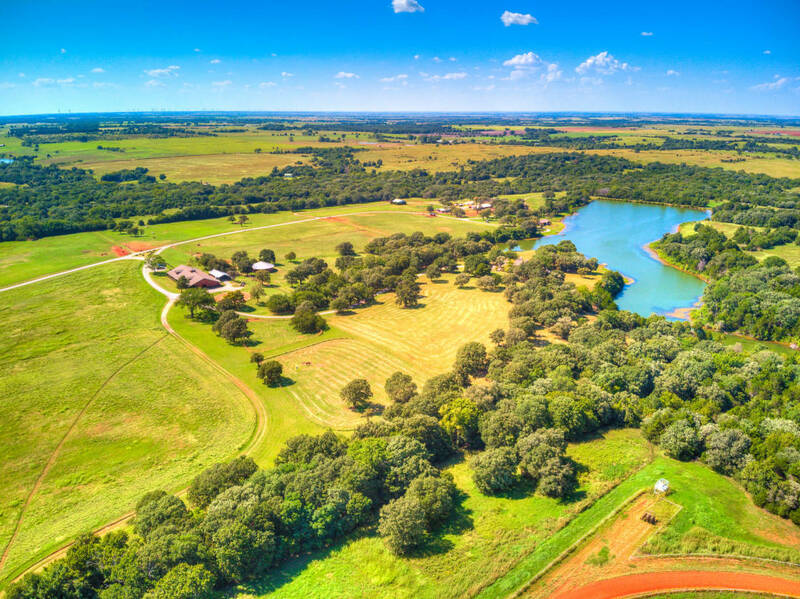 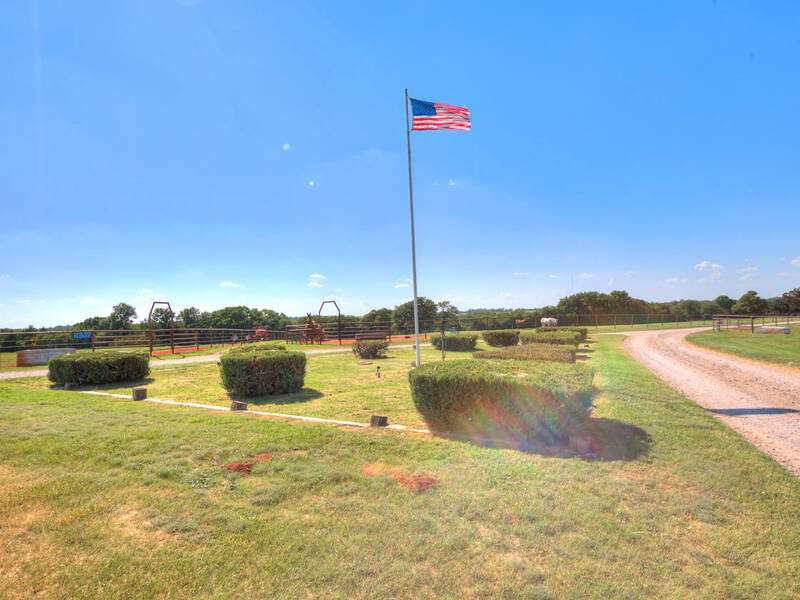 HORSE PROPERTY FOR SALE IN MEEKER OK.